Security should be a top priority for any home or office. Unfortunately, several people avoid installing a security system each year because they are afraid of being stuck with high installation costs. Because of the boom in technology over the past few years, owning a security system may be more affordable than you think. 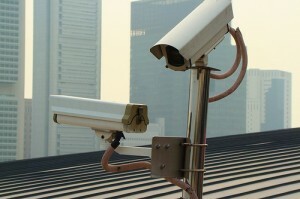 There are several affordable security system installation services in West Palm Beach Florida. This gives you a unique opportunity to find a professional installation service that will work with your budget. Installing your security system can be easy when completed by a team of professionals. After the installation process, your relationship with your security provider will remain strong. Many services in West Palm Beach Florida work as an installation company, do the routine maintenance and monitor your business. This means that you must choose a West Palm Beach security system installation company that you are comfortable working with for years to come. You want a company that you can rely on to give you fast, accurate information no matter where you are in the world. Some of the best companies work to take advantage of smartphone technology so that you can control and view your cameras whenever you want. All of these enhanced services include DVR devices so that you can always have a professional record of what goes on in your home or office. West Palm Beach Florida is known for having a number of different security companies in the area. This means that projection can come at a very affordable cost. Take advantage of the free consultation to learn more about the individual company and how they can help you. This consultation will give you personalized insight into the different services available and their price points. Your installation expert can help you select the best plan and show you any bonus features or extra services that the company offers. A professional installation expert also have a great idea of how the equipment works and show you the newest security systems on the market. The best services will be offered on a no commitment basis so that you can get a quote in the comfort of your own home. Remember to consider ongoing security costs when you make your budget. Your initial quote may include basic service. There are also additional cost, such as the video cables and a power source, that you will need to consider. There are several different choices available, and some packages can include these additional features. Make sure that the equipment you are going to use will always within your budget and layout. Scheduling your appointment is one of the most important things that you can do. It is the first step in enhancing your home or office’s security. Working closely with a professional security system installation service in Palm Beach County can help you get the best services available that will work with you and your schedule. Remember that working with a company that abides by your schedule and is on time is a great indication that they care about your business. Your installation company should work with you no matter what your personal schedule looks like. Professionals are available to visit your home or office day or night. Another important thing to consider is how the installation process will affect your daily life or business operation. You might be able to save money by working with a company that operates during the day time; however, you may want to be discreet during the installation process. This means working with a company that is willing to give you a quick install and clean up after hours. Experienced companies may be able to work silently during the day so that your business goes uninterrupted. Experience is also very crucial when it comes to choosing a security installation company in West Palm Beach Florida. Years of experience will help you get a service that is more affordable. Experienced workers are also able to install your system carefully the first time, which can save you time later on.